Our first evening briefing in the lounge of Hotel Leone was preceded by wine and nibbles, so naturally, on the pretext of looking to store much needed energy for the next day’s trek, the majority of my nibbles were gratefully received . After all, you don’t go on a walking holiday in Le Marche trekking the mighty Sibillini national park with hunger pains, that would be foolish wouldn’t it? 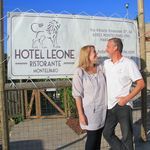 Hotel Leone, our luxury boutique base for the walking week, perched as it was on the hilltop town of Montelparo offered a stunning view of the Sibillini range, but just as important, also offered the kind of after-walk hospitality which made all the effort worthwhile. This was a guided group week organised by hotel owners Tim and Maddy Jones ably assisted by Dutch outdoor specialist Arjan Eleveld and we were all well up for the challenge. Le Marche is a region blessed with an array of options for walkers of all levels, with its Appenine range and its Adriatic coastal hills. Bordered by Tuscany and Umbria to the west, Lazio and Abruzzo to the south and Emilia-Romagna to the north, Marche’s undiscovered bounty remains one of the few Italian regions still offering a snapshot of the real Italy: its food, medieval hilltop towns, mountain scenery and blue flag beaches, a magnet for Italians and of course, those of us in the know. So, faced with such an abundance of riches, here is the TripReporter guide to the ideal routes for the best walking holiday in Le Marche? 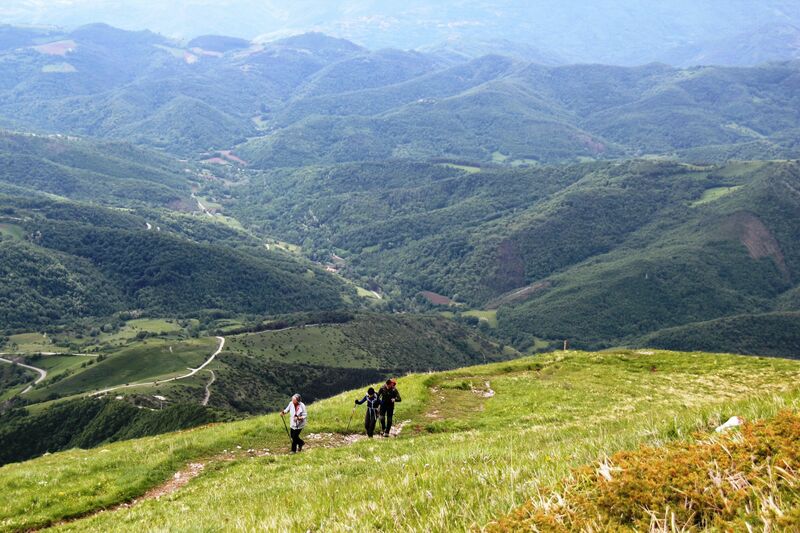 Altino to Vallegrascia 14km (with extension) Ascent: 440m 6 hours. A 45 minute drive from Montelparo brought us to the charming refugio Altino in Montemonaco where we took a slow hike up gentle slopes and through wooded glens until we reached the small ancient Roman church of Santa Maria near Pantano. The church was a perfect place to take a break and just absorb the sights and sounds of the forest. Refreshed and watered and faced with a choice of heading home to Altino or making a longer detour via the mountain village of Colle di Montegallo we opted for the longer hike, after all we were making good progress and it seemed like a good idea at the time. It was during a long windy downhill forest section near the wood-cutters village of Vallerascia, just after I had worked out that all this downhill walking could only mean an eventual uphill return, when Arjan casually mentioned to us the steep climb at the end back up to Altino. The group discussed a possible lynching of our fearless leader at that point, but as we were deep in uncharted territory, elected for clemency. Arriving at Colle di Montegallo a good 4 hours in, we stopped for lunch and some unexpected but very welcome espressos from the local Mayor’s wife. Ninety minutes later, as pre-warned, the half hour ascent back to Altino was upon us, heroically completed by everyone in the group to a chorus of high fives. Then it was back to Hotel Leone for a welcome tea and some rest before the briefing on our next walk and a delicious dinner. 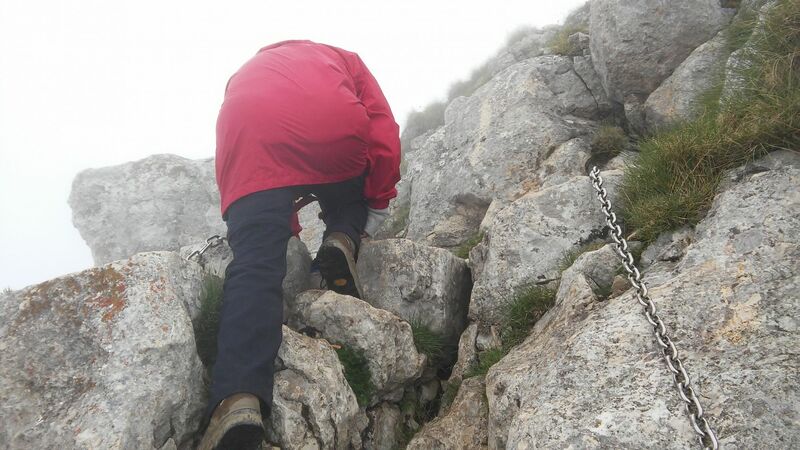 This was an exhilarating climb up to the summit of Monte Sibilla, some 900 metres (3,000 feet) higher than Scotland’s Ben Nevis. Once again Arjan was leading, ably assisted by Hotel Leone co-owner Tim Jones who negotiated the van to our starting point along 5k of tight mountain curves up to Refugio Sibilla. 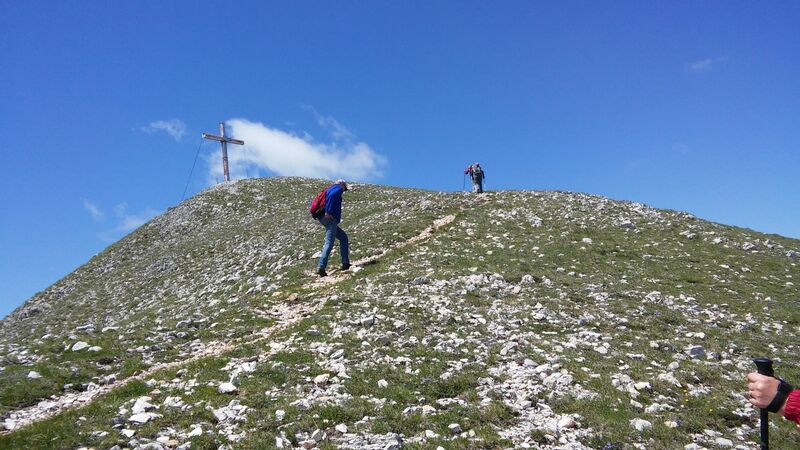 We all negotiated the steep opening climb as the path wound its way around the range and paused on a plateau adjacent to Monte Zampa. It was here we were regaled with tales of the mythical Sbyl the witch enchantress whom the mountain is named after. It seems back in pre Roman times, she lured unsuspecting men from the village to a grisly demise in her lair, the Grotto delle Fate, a cave near the summit, and after divesting them of their gold buried it. Many attempts have been made to find the treasure squirreled away in the Sibyl’s cave but save for the odd coin or two nothing was ever found. 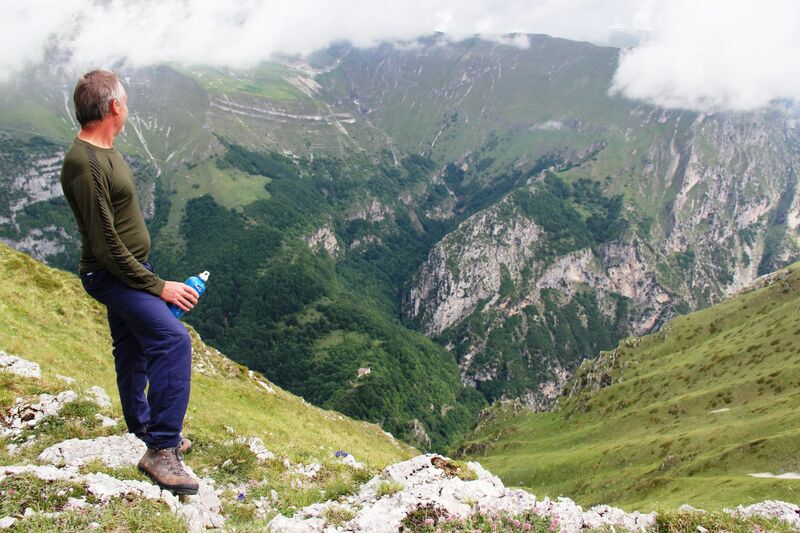 Now fully up for taking on any would be enchantress we pushed on, over one or two exposed ridges that would be a touch challenging for anyone without a head for heights, we enjoyed some majestic views across the Sibillini range; the sheer landscape plunging away beneath our feet. It was breathless stuff and with the weather closing in, all the more exhilarating. Just before the final push, we came to a shallow rock wall which we climbed with the help of a chain grip bolted into the rock face. Not for the faint hearted, but with urging from fellow teammates, the group negotiated it with ease. Just before the summit, we passed the famed Sibyl’s cave, and I gave it a shifty glance as we walked by, perhaps expecting to be lured in myself by some sultry temptress. Sadly nothing even remotely tempting transpired other than more glorious views, and with much joy we reached the summit of Sibilla. There is a circular route back down but due to some uncertain path conditions from recent flooding we elected to retrace our steps to Refugio Sibilla just in time to almost miss the forecast storm. Still, a memorable outing with nobody lured away by temptresses, the lure of a Hotel Leone dinner perhaps more tempting. Monte Patino 14k Ascent: 710m 6 hours. 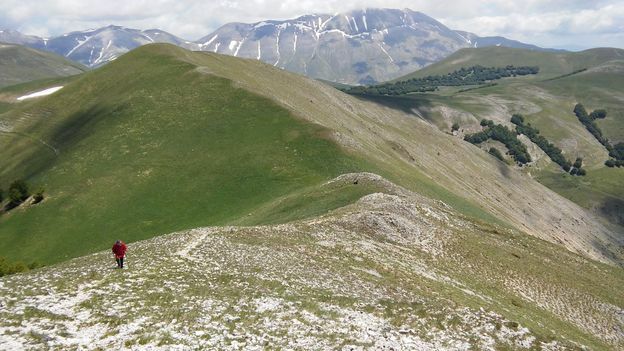 This walk took us into Le Marche’s neighbouring region of Umbria, around the famous lentil-rich Piane Grande plateau, beginning and ending at the legendary mountain village of Castelluccio. It’s a walk where during spring, the landscape is transformed into a sea of red poppies and yellow rapeseed fields as far as the eye can see. 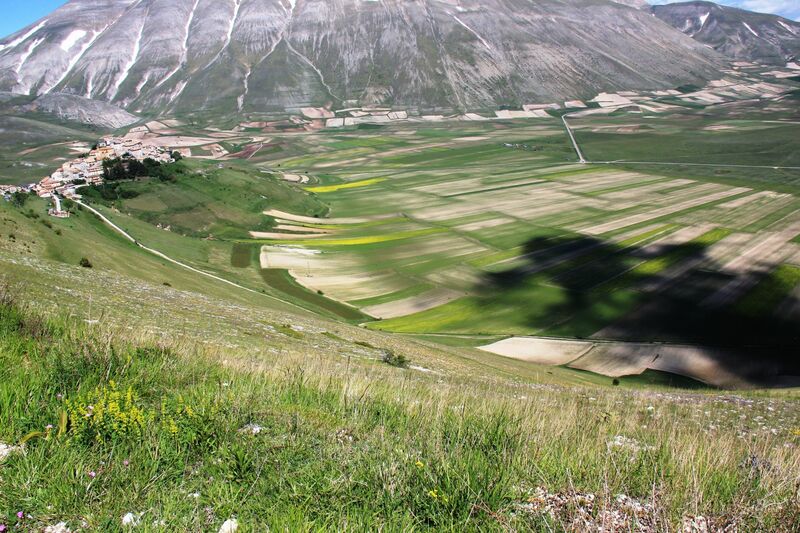 Castelluccio itself is the highest town in the Apennines and its lentils are truly world class. 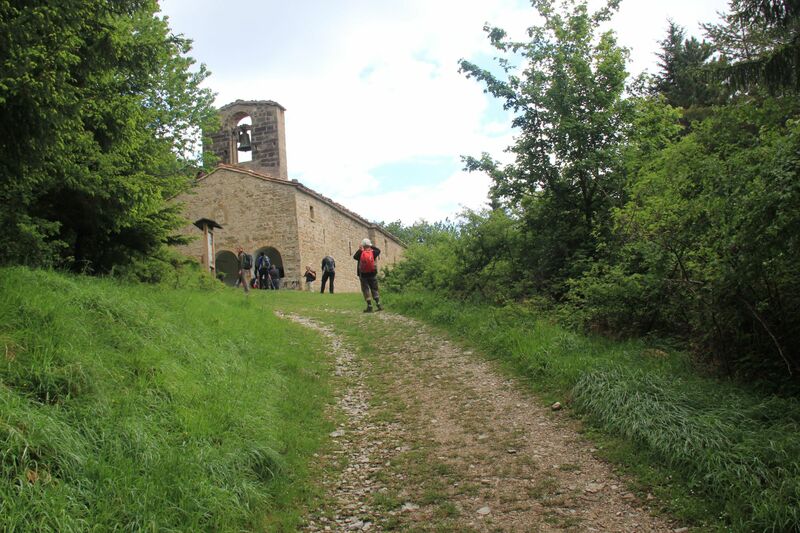 This walk had it all; lovely forest trails, tall hillsides with more glorious views across the Apennine valleys and mountains and wide grassy meadows filled with mountain flora. Here and there we had a choice of route, up and over a hill for the more adventurous, while the rest of the group walked around, meeting back up around the other side. The return path to Castelluccio is where the majesty of the poppy and rapeseed fields came into their own with sweeping views across the valley seemingly dwarfing the little town perched into its side. 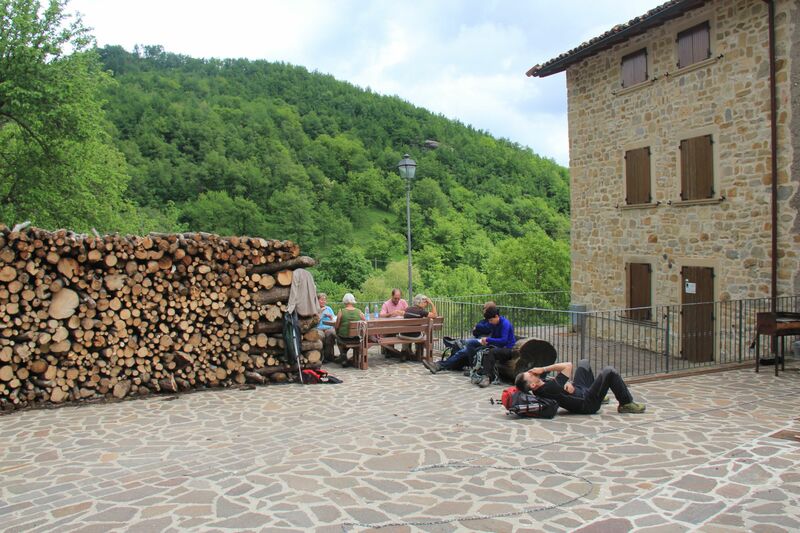 After a refreshing espresso and a taster of mountain cheese and salami we took the van back to Montelparo for some rest and another well deserved dinner. 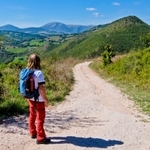 Tim and Maddy Jones tailor their walking holiday in Le Marche to any standard of fitness with a different route every day if you prefer, including some along the Adriatic coast. You could also have a few days off sightseeing Le Marche’s main cities Ascoli and Fermo or the pilgrimage town of Loreto or Montaponne’s famous hat makers. This was a memorable week, not just because it offered some stunning walking, or because of Le Marche’s unspoilt riches, but because of the Jones’ unique style of hospitality. 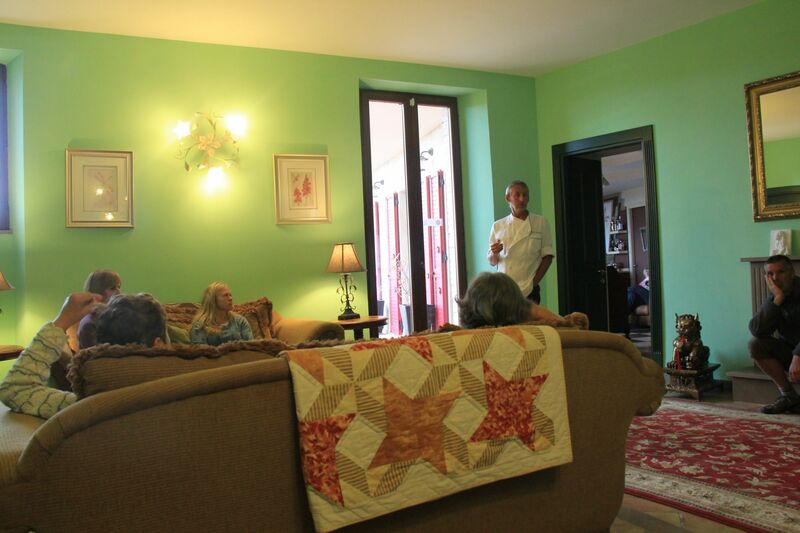 A luxury boutique retreat with a family friendly conscience. You will want to come back and do it all over again. Hotel Leone offers themed weeks from April to November including walking, wine tasting, truffle hunting and yoga on a full board basis. 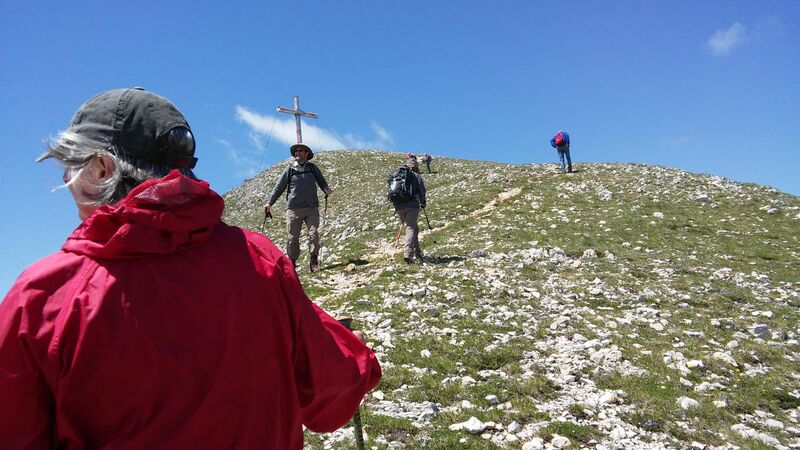 The walking week above included six guided hiking days, transport to and from the start of the walks, full board including house wine, house beer and soft drinks with dinner, afternoon tea and coffee and pick up and return to Ancona airport. From €750 per person. 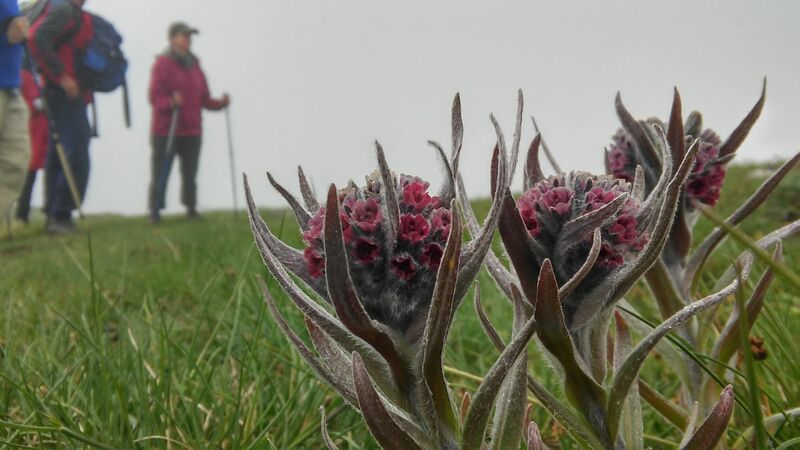 The next walking week is 19th September 2015. Yoga holidays are scheduled May, June and September with prices starting at €950 per person. Truffle hunting and porcini mushroom weekends take place in September and October from €300 per person.Wine tasting weekends take place may, June, September and October from € 300 per person. One week’s Meet and Greet airport parking at Stansted Airport with Airport Parking and Hotels (APH) costs from only £68.90. To book visit www.aph.com or call 01342 859536.